Brain injuries or traumatic brain injuries occur in more than 1.5 million people each year. Out of that 1.5 million, 50,000 die from their injury and more than 80,000 have long-term disabilities because of it. The brain is the most fragile and most important organ in your body. While auto accidents and motorcycle accidents are the leading cause of brain injury, there are other things that can cause a traumatic injury to this precious area. You need the assistance of a Chico brain injury attorney to help ease the pain and stress associated with a traumatic brain injury. Whether it was you or a loved one that encountered the injury, the entire family suffers alongside. There is a serious financial, mental and social strain when brain injuries occur, and you need the assistance of a Chico personal injury attorney to get compensation for what you and your loved ones are going through. The Chico personal injury lawyers at Amaya & Associates know the laws regarding personal injury in California – especially when it comes to brain injuries. We will not be able to reverse the effects of the injury, but we will work to give you and your family a sense of financial and emotional security. 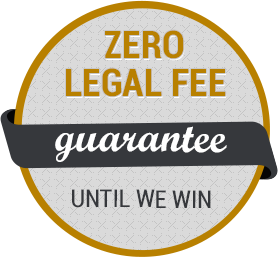 Schedule a free consultation with one of our skilled attorneys today by dialing now.